The Virginia Beach City Council today named Dave Hansen as the new Virginia Beach city manager. Hansen, a 10-year veteran of Virginia Beach city government, will start the new job immediately. Before his selection, he was one of three deputy city managers in Virginia Beach, overseeing five departments: Budget & Management Services, Communications & Information Technology, Finance, Public Utilities and Public Works. 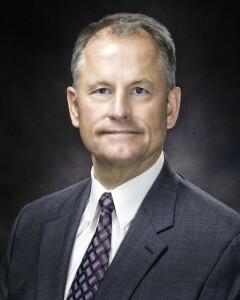 Hansen joined the City of Virginia Beach in April 2006 after a 30-year career in the military. His assignments included deputy chief of staff for resource management with the Army’s Training and Doctrine Command at Fort Monroe, commanding officer and district engineer of the Army Corps of Engineers Norfolk District, and director of public works for Fort Eustis and Fort Story. Hansen has a master’s degree in strategic studies and logistics from the Industrial College of the Armed Forces, a Master of Business Administration from the Florida Institute of Technology, and a bachelor’s degree in business administration and accounting from the University of Central Florida. Hansen succeeds former City Manager James K. Spore, who retired Dec. 31 after 24 years in office. Hansen’s contract is for two years. He will earn a salary of $250,000.